Edinburgh on film has a long and rich history. With many famous Edinburgh accommodation venues and recognisable sites being used in films it’s a city many visit to enjoy the same walks as their favourite stars. There are plenty of films that make Edinburgh a leading star and here are our top five. The Prime of Miss Jean Brodie is a novella by Muriel Spark and by 1969 is was turned into a hugely influential film. 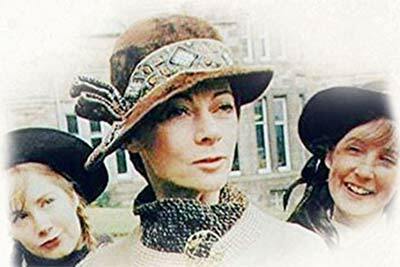 It grew in fame and interest when leading lady, Maggie Smith, starring as Miss Jean Brodie herself, won the Oscar for Best Actress. The film was directed by Ronald Neame of Poseidon Adventure fame and though the film was shot in the 1960s Edinburgh was cast back to the 1930s and both Grassmarket and Greyfriars Kirkyard are recognisable in the film. Danny Boyle’s Trainspotting is sometimes said to have put Edinburgh on the map when it comes to films. Adapted from Irvine Welsh’s novel of the same name the 1996 film begins with stars Ewan McGregor and Ewan Bremner on Princess Street, an iconic scene that has gone down in history. Waterloo Place and Leith Street also feature in the film and it was this film which saw Ewan McGregor shoot to fame. In 1981 Hugh Hudson’s Chariots of Fire looks at the feats of British athletes in the 1924 Olympics in Paris. One of the two athletes in the film, Eric Liddell, is Edinburgh born and bred and some stunning shots of the Edinburgh skyline and Arthur’s Seat are present throughout the film. They are some of the most well recognised shots of Edinburgh in this film and show off many of the city’s finest points. Hallam Foe was released in 2007 and directed by David Mackenzie. It’s a very odd, surreal film which sees the lead character taking up root in a gothic clock tower. The clock tower used in the film is the one of the Balmoral Hotel in Edinburgh and it’s an immediately recognisable site for anyone who knows the city well. Hallam Foe is not everyone’s cup of tea but it’s one way of seeing Edinburgh from another perspective. Directed by John Landis and 2010 Burke and Hare was a film documenting a murky time in Edinburgh’s past. The Burke and Hare murders of the mid-19th century have been studied and wondered about since that time. It is prime fodder for a movie and the 2010 offering gave us a different, comedic, shot at seeing the murders in a new light. Starring Simon Pegg and Andy Serkis Burke and Hare may not have got the best reviews but its depiction of Edinburgh is stunning. Bringing 19th century Edinburgh to life, everywhere from the Royal Mile to Edinburgh Castle is spotted. Edinburgh is iconic in so many ways it’s no wonder it has been immortalised in film. Visitors to the city often marvel at the sights they remember from films and we’re sure this is set to continue.